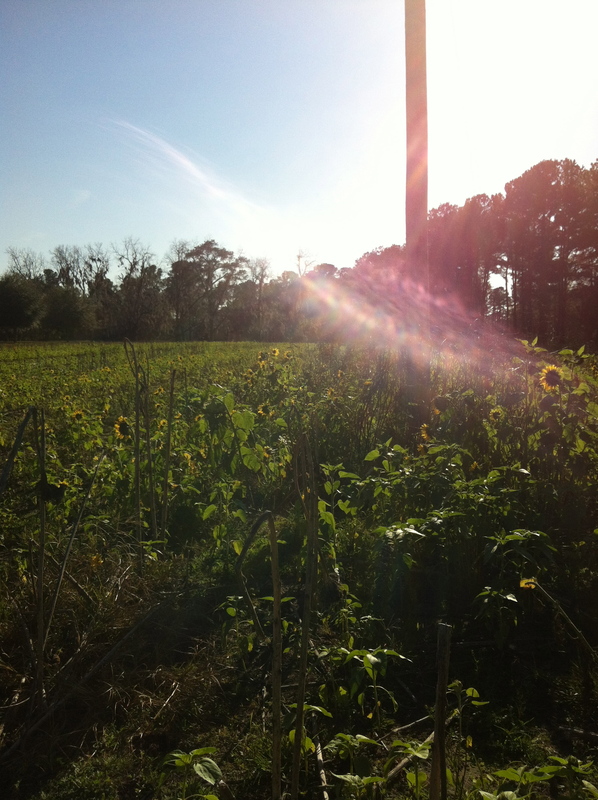 This is another one of the photographs from the sunflower field. I was showing these to my client Charlenne Carl and she asked me what I saw when I was photographing the angels. One day, on Dec. 9, 2011, to be exact, Charlenne was late for her appointment. I had a yellow phalaenopsis that had just opened new blooms. Since Charlenne was so late, I thought I would take the time to snap a few photos with my iPhone. As I was snapping away, I began to see a pink light. Now, when I see the angels, I take multiple photographs. I turn my iPhone every which way, at all kinds of angles, so that it is clear that what I am photographing is not just an artifact. Here’s how the first angel photo happened. I was taking some photos on Nov. 7, 2009. I had just gone to the Isle of Gigha in Scotland in September of that year and met my fellow soul sister healers from around the world. As I have written in my blog, it was the most uplifting trip of my lifetime – to be around fellow healers from around the world, to spend time with the orchids, to meet Don Dennis in person, to meditate with my friends and walk through the gardens around Achamore House. It was just magical. So I came home and wanted to send my healer friends from around the world photographs of the studio where I do my work and also send them photographs of my own orchids. Before I went to Scotland, I had what I call low orchid self esteem. In other words, even though I completely adored my own orchids, I was quite sure that someone else somewhere else was doing a much better job raising them. I had been to orchid clinics at the Atlanta Botanical Gardens where I felt like a complete idiot. You sit in the back with your pots of flowers from home, and you come up one at a time and discuss your horticultural problems with the experts. Really. I have never repotted an orchid – well once I tried, but the whole process seems kind of intimidating. I have fertilizer, but I use it sporadically or when I remember, which is rarely. I go to orchid shows where the experts seem to have really monster blooms, everything perfect. I also like to walk through the orchid houses at the Atlanta Botanical Gardens. Now those people there are really really good at growing them and the whole experience of being in the gardens is just dazzling to me. People give me books about how to grow orchids, but the books sit on my shelf, completely unread I ADMIT! I would rather just admire the ones I have. I tune into them, and when they need water or pruning, I just do that. My technique is simple. I just listen. And I spend a lot of time looking at them. That’s it. So maybe I am just a gardener, i.e., not even close to any kind of expert. I just love my orchids even though I know practically nothing about them. At any rate, off on another orchid tangent as per the usual, my point is that the very first angel photo I took was an accidental angel photo because what I was really doing was photographing my orchids. I was so proud of my orchids and the quiet beauty of my studio I didn’t even see the angel in that first photograph!! I emailed the photo around to my healer friends from around the world. The lady from Brazil emailed me back. “Nice angel,” she said. OMG!!! I looked. She was right! After that, the angels would show up once again when I was photographing other things. I was taking a photo of a new orange cattleya to show one of my friends who could not make it over to my studio himself. The next day I was showing him the picture when I saw the angel. Then in 2011, the day the tsunami hit Japan, my very excellent painter Dan Stone was over at my house staining the deck, painting my office and a few benches outside in my garden. I was snapping away with my iPhone at the end of the day to admire his completed work. I was walking around my yard followed by my little dog Belle. Belle was standing by my front door so I snapped her picture. Then I turned and looked at the photograph and saw two angels by my front door! About three weeks after that, I went for a walk on a Saturday afternoon. It was late in the afternoon. I decided to snap some pictures of my house as I was walking back. I snapped a series of pictures walking up to my studio where I captured the most magnificent pink ring of energy. Two days after that, a huge tornado hit Atlanta. Seven people died that night. There were trees down all over the city, on top of cars, on top of houses. There were so many trees down that roads were blocked everywhere, including in the street directly behind my house, where my neighbors lost all electricity for several days. Now I admit I was up for several hours praying in the middle of the night. I had a huge tree leaning over the roof of my home from all the way on the front left at a diagonal to the back right corner of my house. It did not fall down. I knew I was protected. I didn’t see any other photos of angels in my pictures until Charlenne was late this past December. Now I am onto them. If I see them, I am going to take multiple pictures. And I am going to turn my iPhone at every different angle. I figure if you take 20 pictures of the same thing, it must be there. But at the end of the day, the angels have generally shown up when I am taking photos of either my orchids or my dog Belle. So maybe the angels really love my orchids or they love Belle or they love all of the above. I know that personally I really love my home and garden, and that the energy here is so clear and beautiful that if I was an angel that I would definitely hang around here also. Of course, I had been aware of angels when I was doing my healing work. One time, years ago, I was working with a lady who had stage four cancer. I counted there must have been 20 angels in the room. I could not see them, I just knew they were there. And then I listen to my angels and write down what they say. Sometimes if I wake up in the middle of the night, I know they are trying to talk to me and I have to get out my journal and a pen and write it all down or otherwise I can’t go back to sleep. Of course, it takes a bit of courage for me to talk about any of this or to show my pictures. As an old friend of mine used to say, take all mistakes for love.